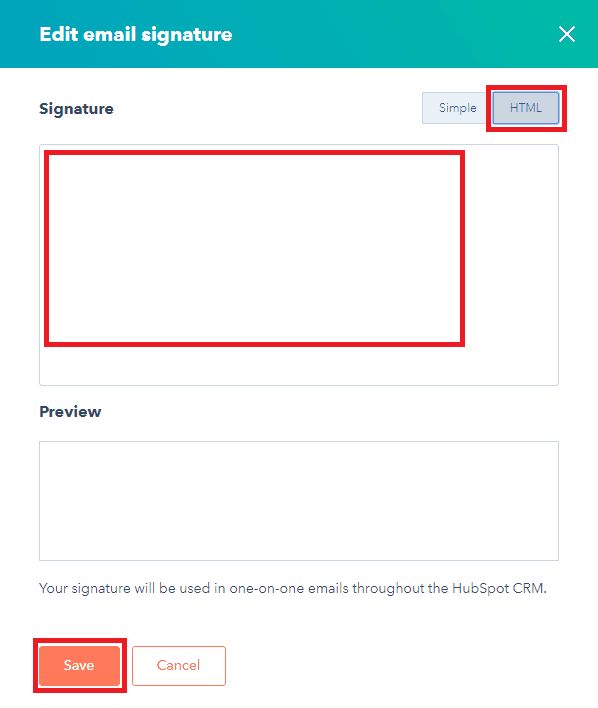 Note: In order to use your email signature with Hubspot’s CRM, you will need to copy the HTML code of your email signature. 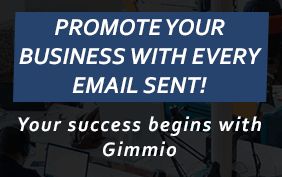 Once you are ready to install your email signature into Hubspot’s CRM, open your browser and log into Hubspot. 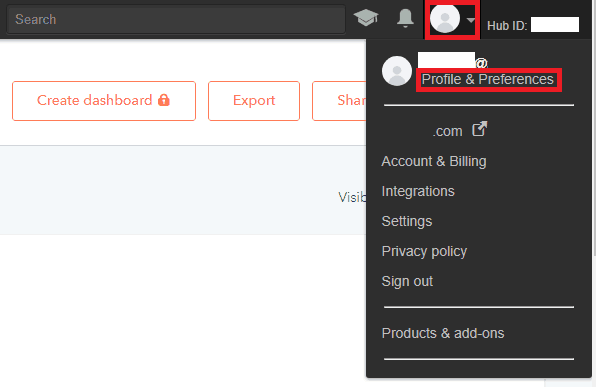 Click on your profile picture in the top right, and then click Profile & Preferences. 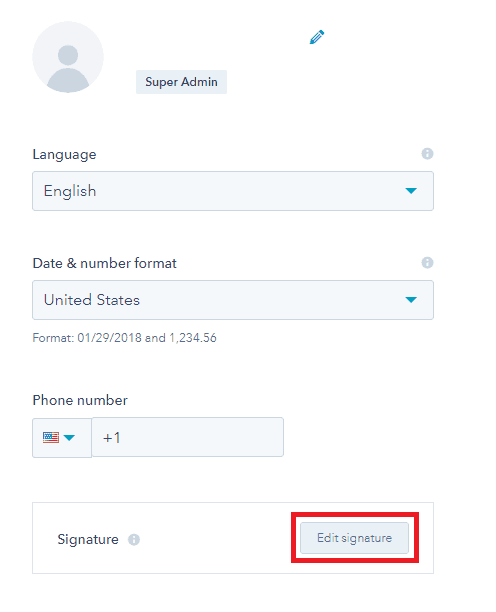 Click on the Edit signature button in the bottom right of the screen. Click the HTML button at the top. This allows you to use an HTML email signature. Paste the code into the Signature text field and have a look at the Preview. Click Save.